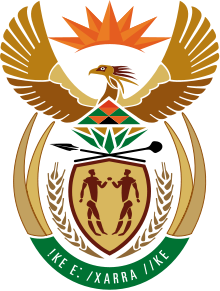 The South African Children’s Act regulates the registration of what it terms child and youth care centres. Children in unregistered facilities often lack social work services, and thus miss out on opportunities to be reunified with their families, or to be fostered or adopted. Despite the undeniable benefits of registration, there are concerns that the process of registration is being carried out in a way that ignores the good work that has been done by some unregistered facilities, and their value as community based resources. The University of Pretoria’s Centre for Child Law explains what is happening here. 1. The briefs are very insightful and relevant, particularly the one relating to the registration of child-care facilities. 2. The brief provides insight into the current reality in South Africa, highlighting the importance of ensuring that all child-care facilities are registered. A lot of advocacy is needed to mobilise the Department of Social Development to provide national information dissemination workshops for the public to educate them around the importance of registering child-care facilities and the processes involved. 3. The brief on the registration of unregistered child-care facilities is very important and useful. The creation of a manual to guide unregistered facilities in the registration process is vital and will lead to registration of the many unregistered child facilities nationwide, so that children receive the necessary care, protection and other services once facilities adhere to the norms and standards prescribed by the relevant Act. 4. Interesting and informative brief on the many issues faced by child-care facilities. Many of the child-care facilities fail to register with the Department of Social Development due to a lack of knowledge on the procedures, thus the manual by the Centre of Child Law will help to ensure more facilities are registered. However, the Department also needs to put measures in place to ensure the backlog of facilities that have already applied to be registered, are processed more speedily. 5. Very useful and relevant especially for people dealing with children’s matters. 6. Under ‘Findings’, the 2nd and 5th paragraphs are unrelated to the topic and discuss the difficulties the homes face in general, rather than the difficulties they face in becoming registered. The article could be strengthened by setting out the benefits to the system should all homes be registered. Thank you very much for this useful feedback.